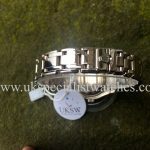 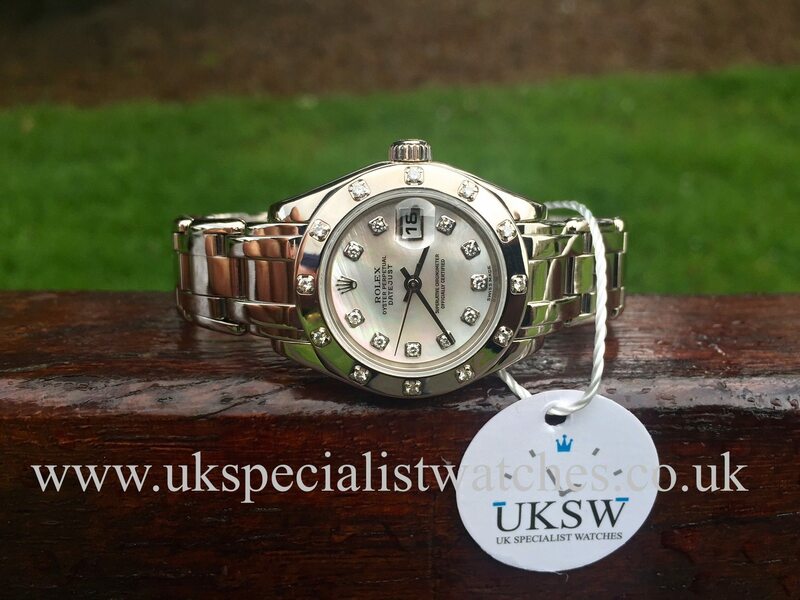 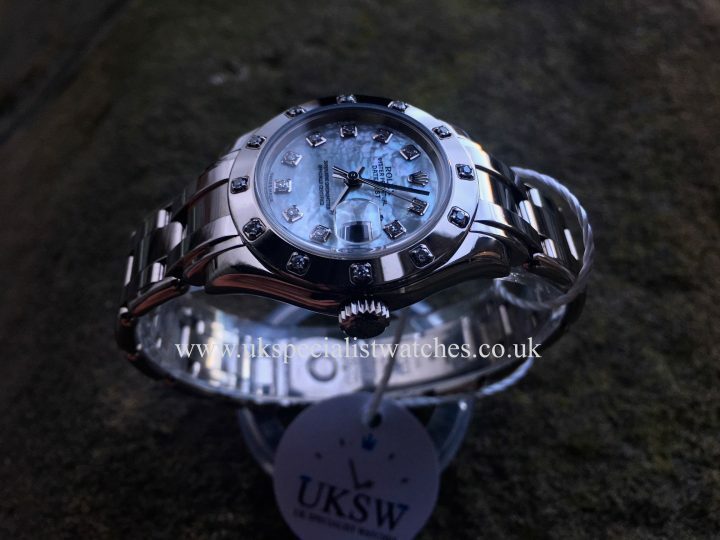 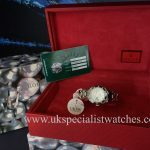 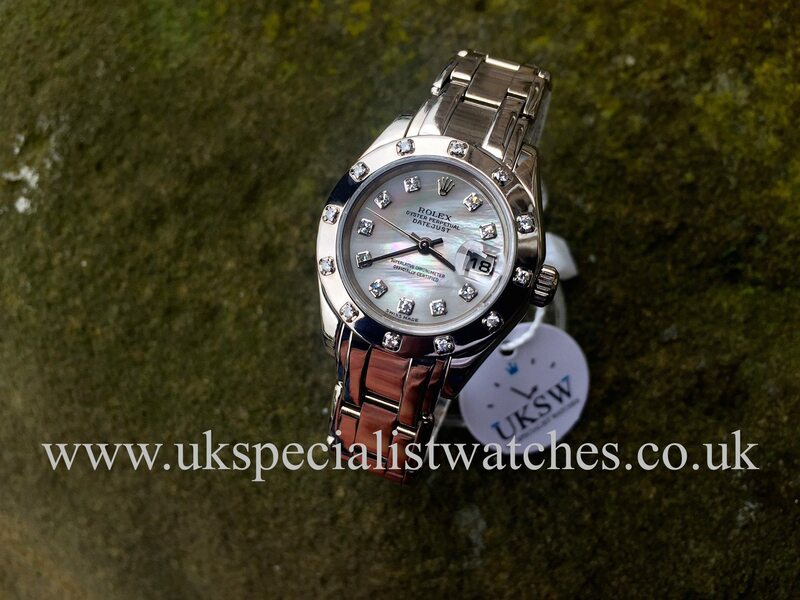 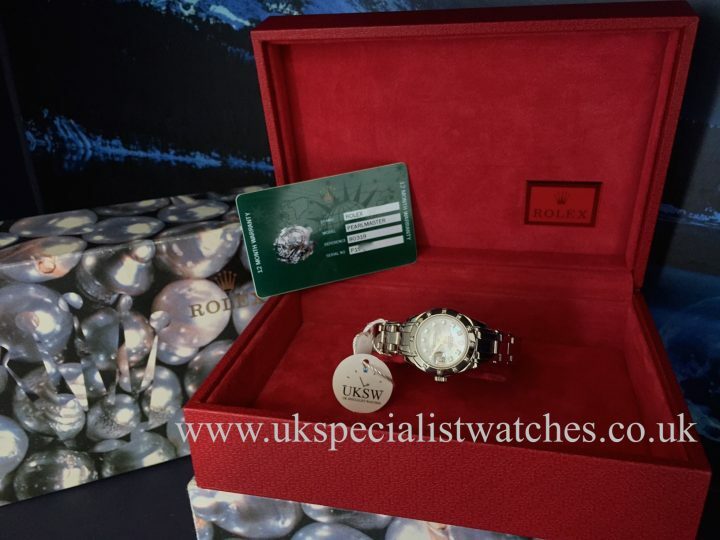 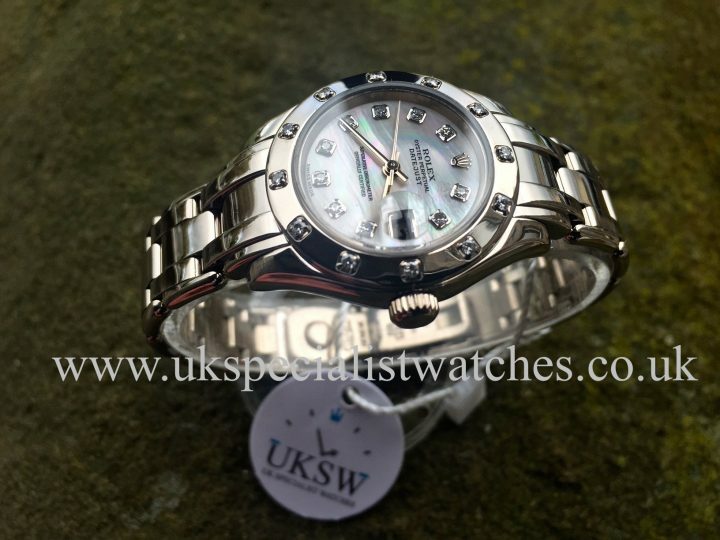 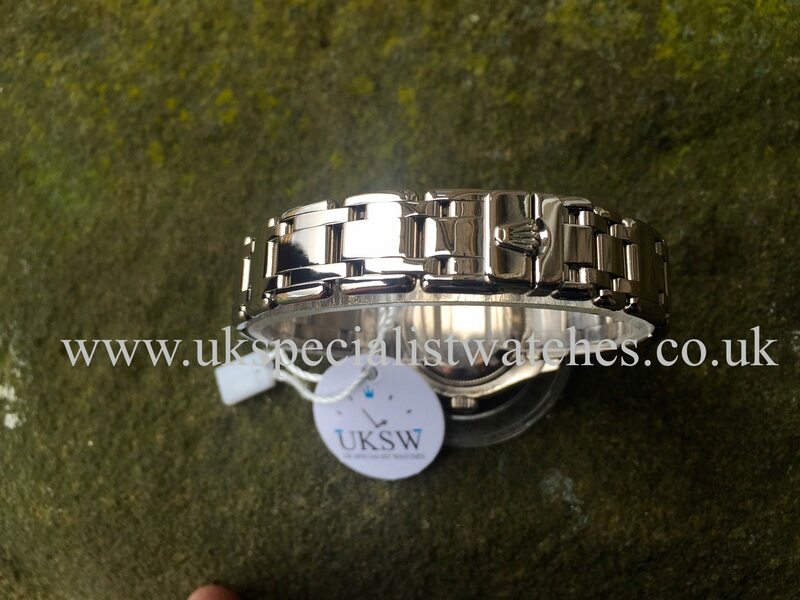 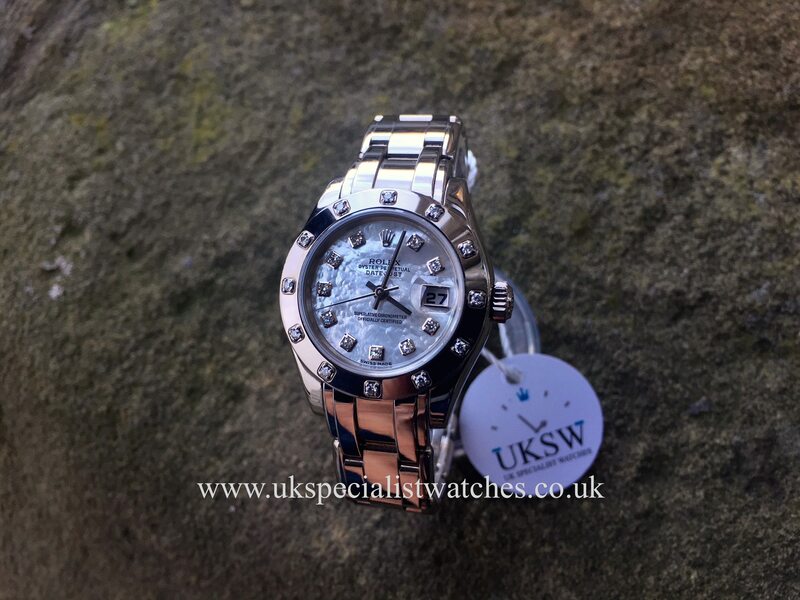 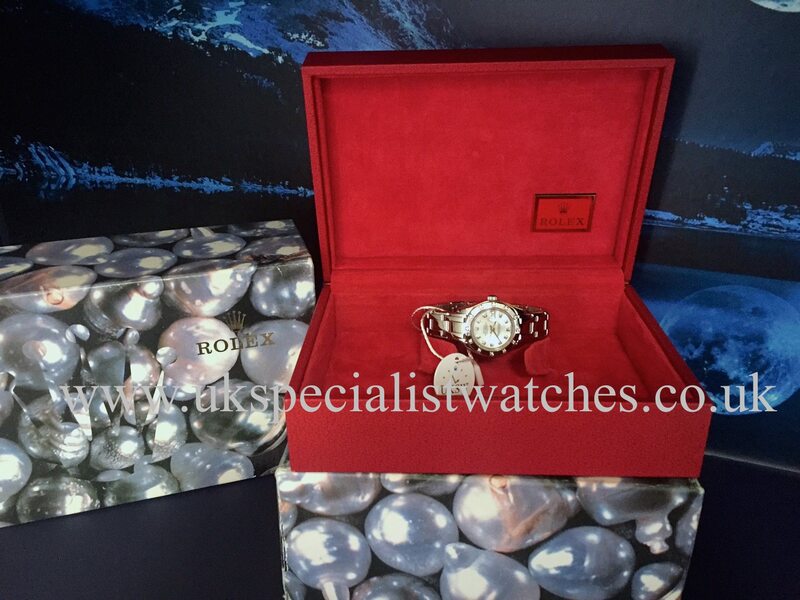 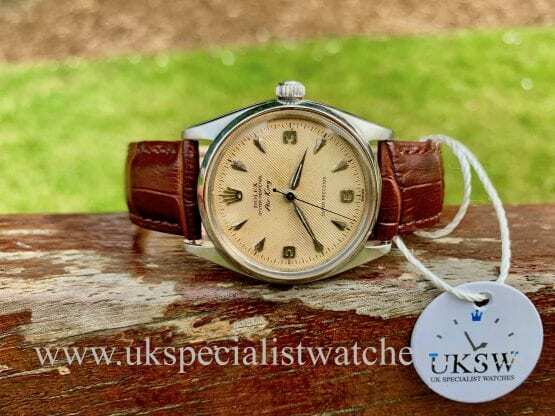 Rolex Ladies 18ct white gold Datejust Pearlmaster 80319. 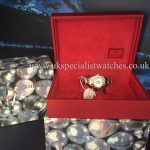 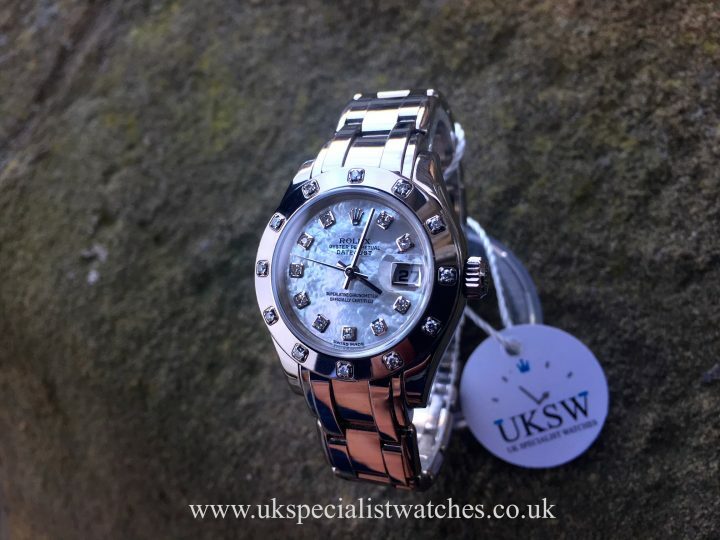 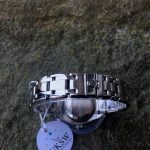 Solid 18ct white gold with the larger 29mm case with a factory white gold bezel with diamonds marking every hour, Factory mother of pearl white diamond dot dial set with a further 10 diamonds solid 18ct white gold Pearlmaster bracelet, concealed clasp. 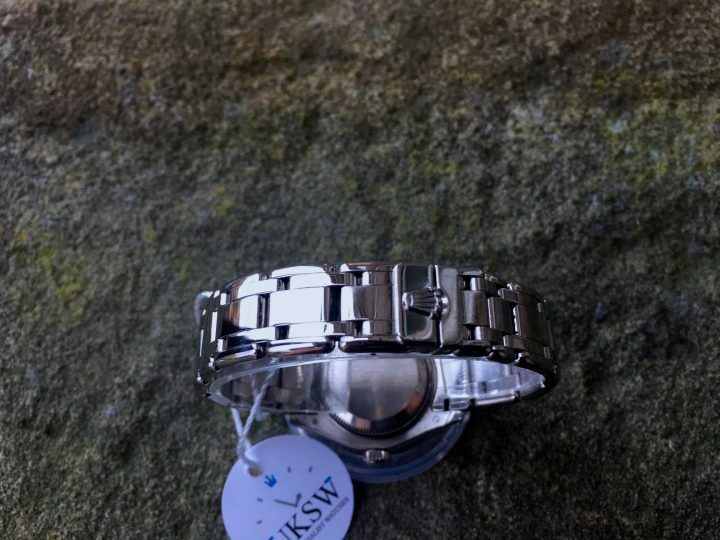 Powered by a automatic movement,water resistant to 100 mts. 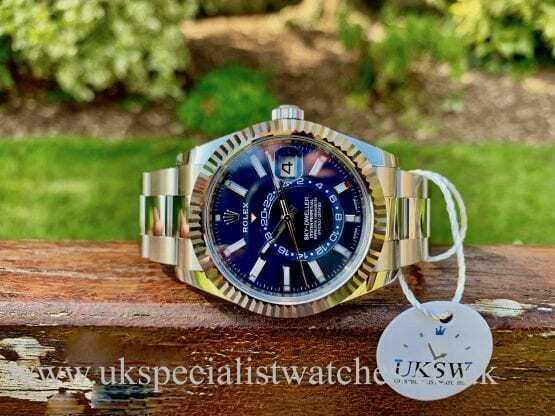 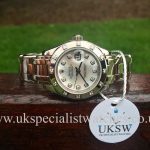 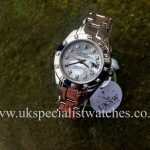 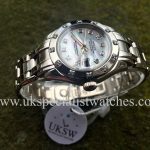 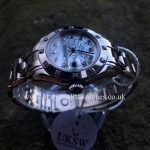 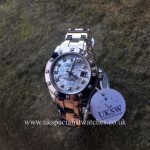 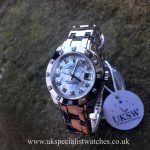 The watch is in fantastic condition and represents excellent value money when you consider the replacement cost is now £25,000!